YOKOTA AIR BASE, Japan – Home. A place we all have, a place that is each entirely our own. To some a city, a state, to others a state of mind. Home is where the heart is, family, friends, community. It is familiarity. Home is the comfort of knowing the inner intricacies of everything around you. Home has a feel, a smell, an aura that exudes peace of mind. When away from home, there are a million things that will remind you exactly what you miss about it. An unfortunate reality is homes are unique. They are not easily recreated. A truth known all too well for those who serve in the U.S. military. 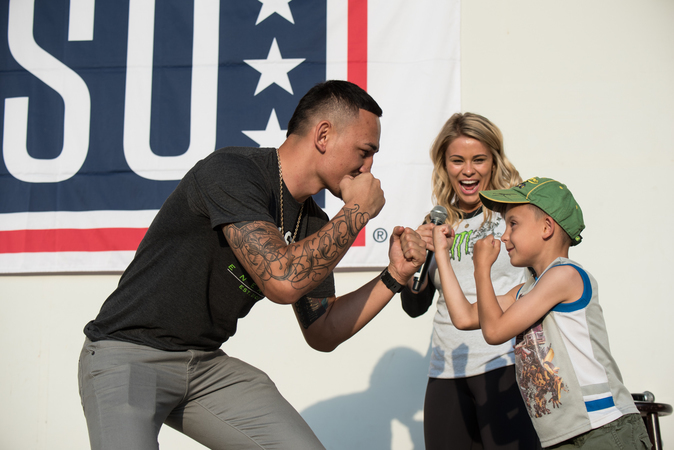 With that difficulty in mind, the USO’s mission of strengthening America’s service members by keeping them connected to family, home and country, throughout their service can make all the difference. 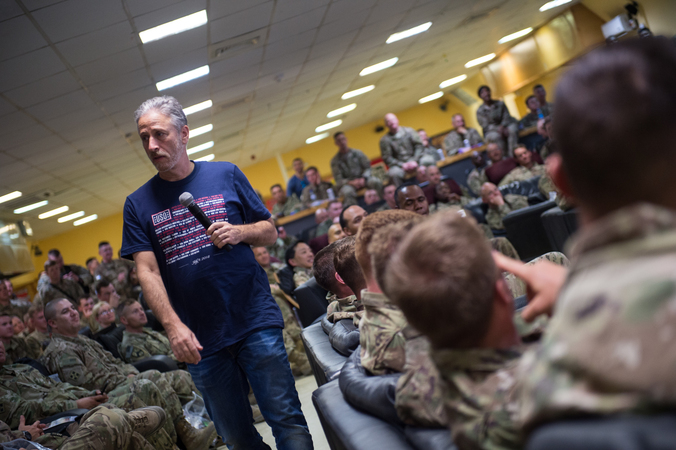 In an effort to bring family, home and country to service members stationed overseas, the USO Spring Tour kicked off April 22 at Yokota Air Base, Japan, before stops at military bases in South Korea, Afghanistan, Iraq and Spain. 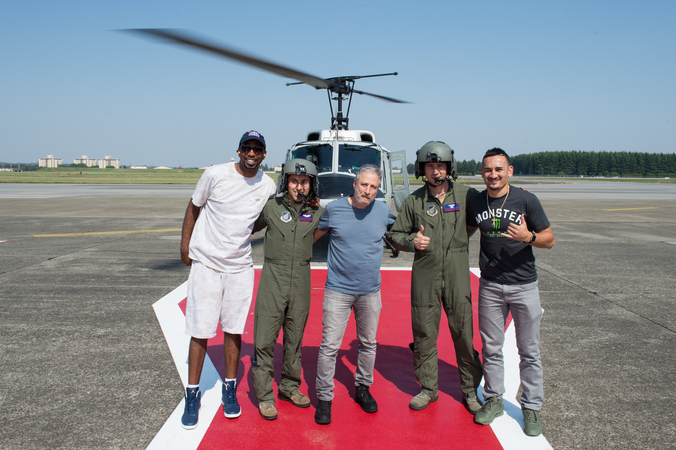 The tour, hosted by Gen. Paul Selva, Vice Chairman of the Joint Chiefs of Staff, included performances by former “Daily Show” host Jon Stewart, country music artist and Army veteran Craig Morgan, celebrity chef and TV host Robert Irvine, UFC fighters Paige VanZant and Max Holloway and Richard “Rip” Hamilton, a retired NBA All-Star. Sign up for our emails to show you are a Force Behind the Forces. 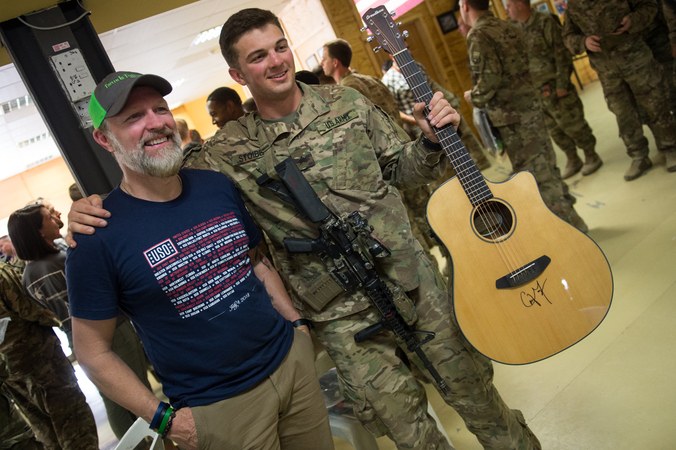 With the help of some of our country’s biggest stars, the USO is able to show support through the staging of comedy shows, concerts, meet-and-greets, unit visits and other interactive events for service members and their families while promoting stability throughout the world in both stateside and overseas locations. 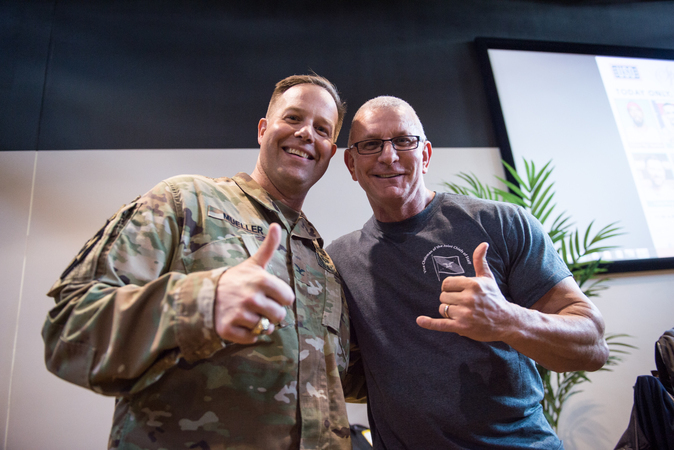 “Entertainment tours like the one being hosted by General Selva are just one of the many ways we work to express our appreciation and to strengthen the service member’s connection to the things they hold so dear,” USO CEO and President J.D. Crouch II said in a release. 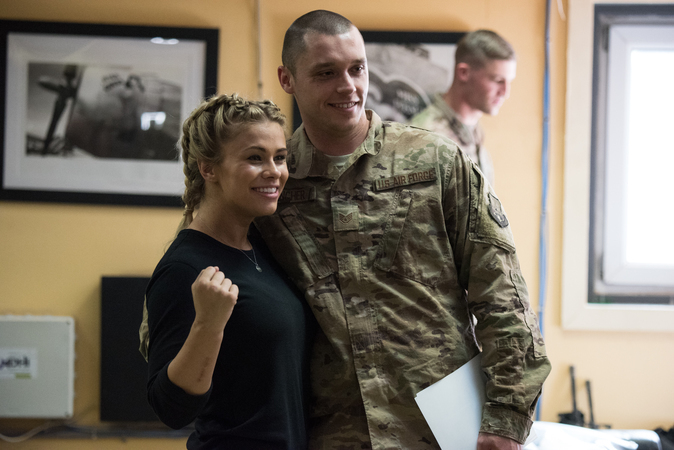 Bringing that support to the ends of the Earth would not be possible without the support from the stars donating their time for tours, but the help of all of the individuals who volunteer their time to help out at USO centers around the globe. 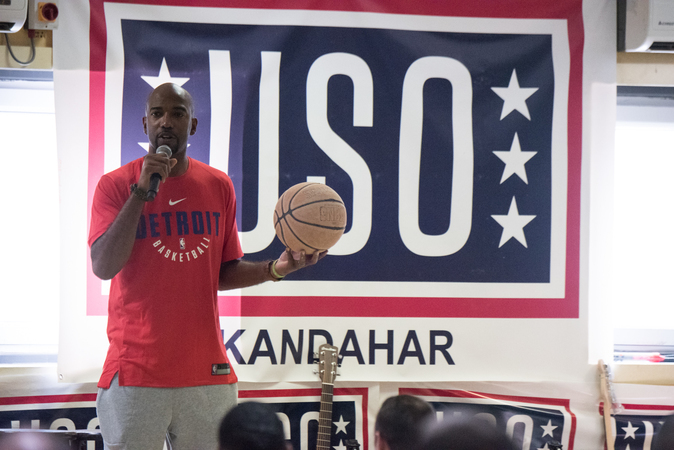 The stars and individuals who volunteer their time to the USO are a prime example of what the USO hopes to achieve with its Force Behind the Forces campaign. “The Force Behind the Forces campaign encourages Americans to demonstrate their appreciation for and support of those who selflessly serve our nation,” Kemp said. In a release, Selva said he sleeps soundly at night because of the more than 2 million men and women in uniform.